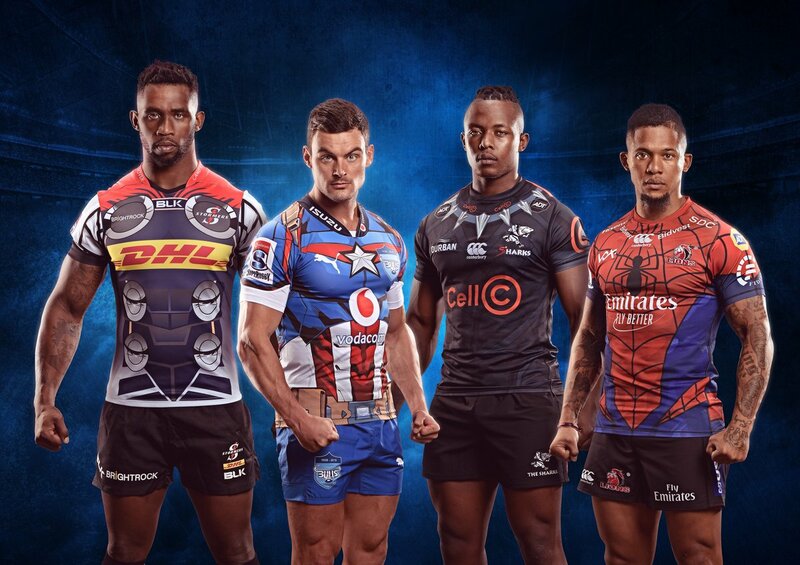 South African Super Rugby franchises the Lions, the Stormers, the Sharks and the Bulls have released four stunning Marvel comics inspired kits ahead of their Superhero Sunday games on February 2nd. The Lions will wear a special Spider-man inspired kit, with the Sharks getting inspiration from Black Panther. The Stormers will wear a kit that resembles Thor’s superhero costume, while the Blues will be rocking a Captain America themed kit.